Summer is here and with that days in the pool, at the beach, wearing nice and small outfits. If you are like me, you've been preparing for swimsuit season probably for a long time now. As women, we like having a healthy and nice body to feel confident, but sometimes -even if we exercised and eat healthy- it is difficult to achieve it due to the horrible cellulite. Our friends from Cellu-Cup sent us a sample of 2 Cellu-Cup and an Orange Oil to review, and hopefully this could be helpful for you. Cellu-cup is a massage tool made out of silicone and their orange oil is made of organic virgin plant oils like argan, grape seed, apricot kernel and sweet almond oils. If you do some research, you'll find out this is the perfect combination to combat the cellulite. How does it work? visit the Cellu-Cup website where they have a video showing the best way to do the massage. First, start by applying the orange oil on the area to be treated, then evacuate the air from your Cellu-Cup and place it where you applied the oil. Move it vertically and horizontally for a couple of minutes, and then just move it vertically for about 4 minutes. Next you'll have to move it like a snake for around 3 minutes and then finish with an intense minute of movements. Bear in mind that in order to get better results, it is important to drink a lot of water, exercise, eat healthy, and use the Cellu-Cup as indicated. The "Skin Pinch and Roll Technique" applied by Cellu-Cup is the only efficient technique recognized by professionals to fight cellulite. This technique helps the degradation of fat cells, is non-invasive and it is safe. The first couple of days the treated area wasn't hurting much. On the third day, I had bruises and it was hurting quite a bit. However, after a few days of doing it, I got used to it and it stopped hurting. Its size is ideal for you to use it at any time. I recommend if you are going to apply the orange oil, you should do it at night because it's better that you don't expose yourself to the sun after using it. In my opinion, a massage in the spa could be really expensive and inconvenient if you have two little ones like me. I am extremely happy with this product and I highly recommend using it. If you are interested in getting the Cellu-Cup remember that it is still not available in the U.S. so you will have to buy it online. Today I received the Aloha blumes by Tippi, size 12 M for my daughter Mia, and I must say that I love everything about them. First I was impressed with both the quality of the prints and the beautiful patters. When I opened the box, I also like that they include a tiara made out of paper for the little princess. I'm sure that Daniel (my husband) will love to see his princess wearing it out. The shorts are handmade from a soft light jersey with an elastic waistband and they come with just enough stretch to keep them in place. These shorts are soft, light weight and comfy. The design is gorgeous and perfect for the summer time. I love the fact that Mia can wear them with a casual tee for a day in the park, or with a formal shirt for a birthday party. 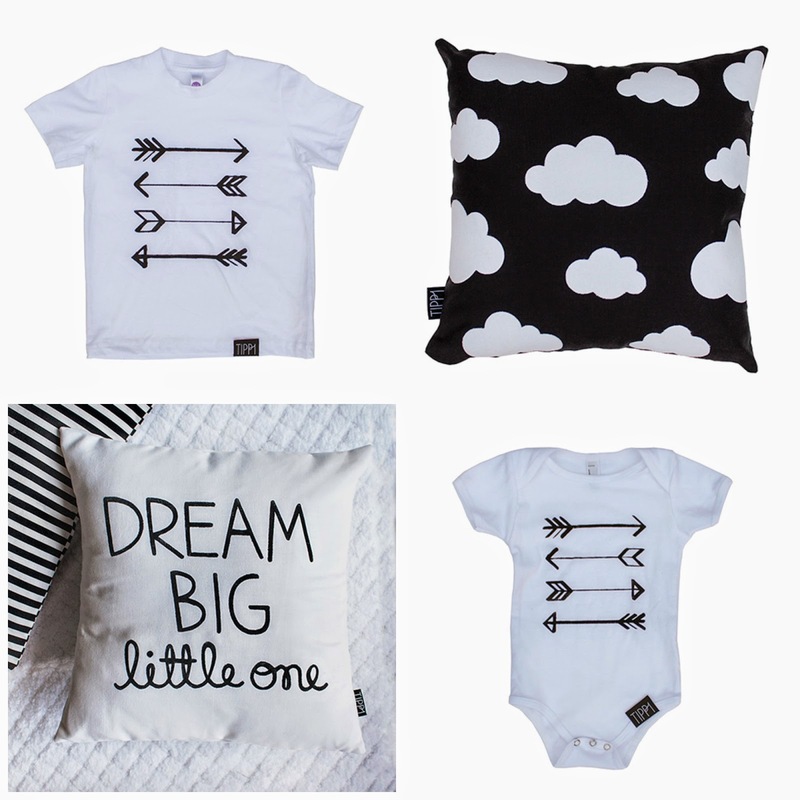 Tippi started a couple of moths ago with 4 great print blumes and now they just added a few more items to their collection, some of these are: Pillow covers, Adult and Kids Tees, Unisex Snugs and super cute wall art at a great price. Tippi is fun, comfy and the best of all. 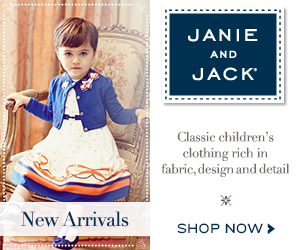 They have amazing prices and yet they offer the same or better quality than that of other brands. One of my favorite item is the new Blossom Snug. It is the perfect gift for a newborn or for a baby shower. Their new collection Black and Bianco is also amazing. They have a $2. 99 flat rate shipping which is great!!! ***Please note: We have received a free product to review, but the opinions expressed above are 100% ours. I was given a sample of Milky by Need Brands to review. 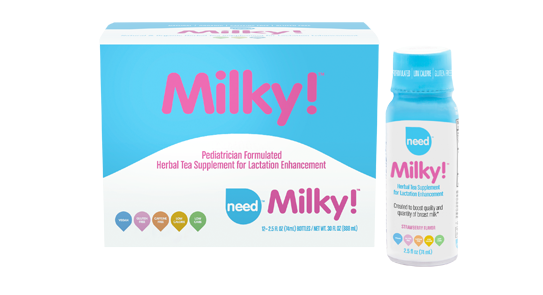 For all of you who don't know about Milky, it "was designed by a pediatrician to help boost the quality and quantity of breast milk." Even though I didn't have any issues to produce enough milk with my two kids, I know for most mothers, breastfeeding is not that easy, so a product that can help not only to increase its quantity but also its quality sounded very appealing to me. In the box you'll find 12 - 2.5 ounces bottles, very convenient to carry in your purse or diaper bag. 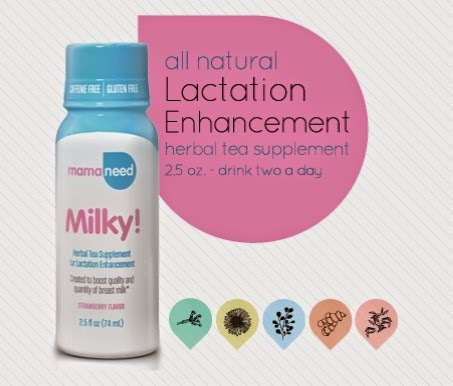 Milky is made with organic herbs that have been proven to boost the quantity of milk supply. In my opinion the taste was surprisingly good , it tasted like tea with strawberries. But hey!, even if you are not a tea lover, Milky it's very easy to drink and you can obtain the benefits of consistently taking the supplement. 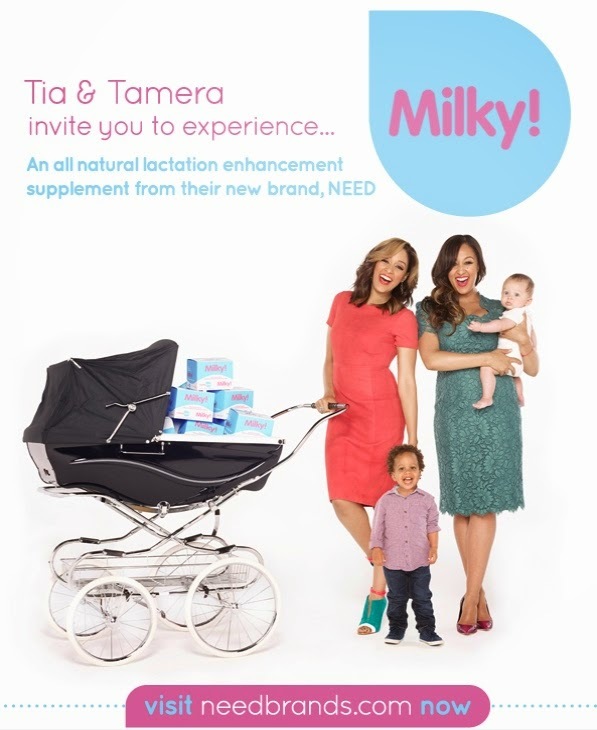 My personal experience with Milky was great, I truly like to product and Even though I have been fortunate enough to produce a good amount of milk to feed Mia , after trying Milky for a couple of days I started seeing an increment in the amounts of milk that I was producing. I believe that this product is a must for those mothers that struggle with producing enough milk to feed their babies. I invite you to go ahead and give Milky a try. I'm sure you and your baby will love it and you will start seeing the benefits right away. Need Brands is giving away some Milky, so head down to Punch Tab and complete your entries to try it yourself. 'Land of the Brave' Hat7. I am obsessed with headbands and bow clips. My girl has been wearing them since the day she was born, and still 9 months later, I try to accessorise her outfit with glittery headbands everyday. Jellabee recently sent us some gorgeous headbands to review. They are so soft on Mia's hair that she can wear them all day long and the best of all, it didn't leave a mark on her little head. Our favorite headband is the one with a glitter heart. Every time Mia has worn it, someone has asked us where have we bought it. In addition to that, the glittery elastic in the headbands is so gorgeous, it highlights your baby's face. Just look at Mia and how cute she looks. Jellabee's customer service is great, we got the headbands pretty fast.Their collection is big and it also includes bow clips. Mia Still doesn't have enough hair to wear bow clips, which is sad because they are beautiful. I love the way the owner has matched the colors on them. My fave is the Mini Glitter Heart Snap Clip because it can be worn for every occasion. I'm so obsessed with these products and how Mia looks when she wears them, that I couldn't made my mind when I was choosing the pictures, so I decided to leave them all! Please note: We have received a free product to review, but the opinions expressed above are 100% ours. Just a couple of weeks ago we were sent two products -Foodii and Oogaa- to review. The following is perfect for parents with babies between 4-12 months, whom are starting to receive solids, and also for parents of toddlers who are starting to eat with their own plates and cutlery. With a four year old and an 8 month old baby, my time is very limited. I'm always on the go, I have to take Mia snacks just in case she gets hungry while we are out of our house. I put her snacks in Twist Pouches which are totally mess-free. I don't have to worry about my purse getting messy. Also, the Squeeze spoon pops onto the pouch so its perfect for me. I would totally recommend them, as they can make your life easier. Not only is it easy to use, but it's easy to clean. As you can see the kit is very complete. You have different products depending on the age or development of your child. You can either attach the Squeeze Spoon - perfect for those who are learning- or the snack spouts for the advanced eaters. These pouches are extremely easy to fill. You just have to squeeze the squeezable cup and you'll have the majority of the food inside the pouch. You might some left over in the cup, but it shouldn't be much. Mealtime is one of the moments I enjoy the most with Mia. I love seeing her try different things, experiencing new colors and textures. Before receiving the OOGAA products, I had to pretend that the spoon is an airplane (and make a funny noise) so that she could finish her food. 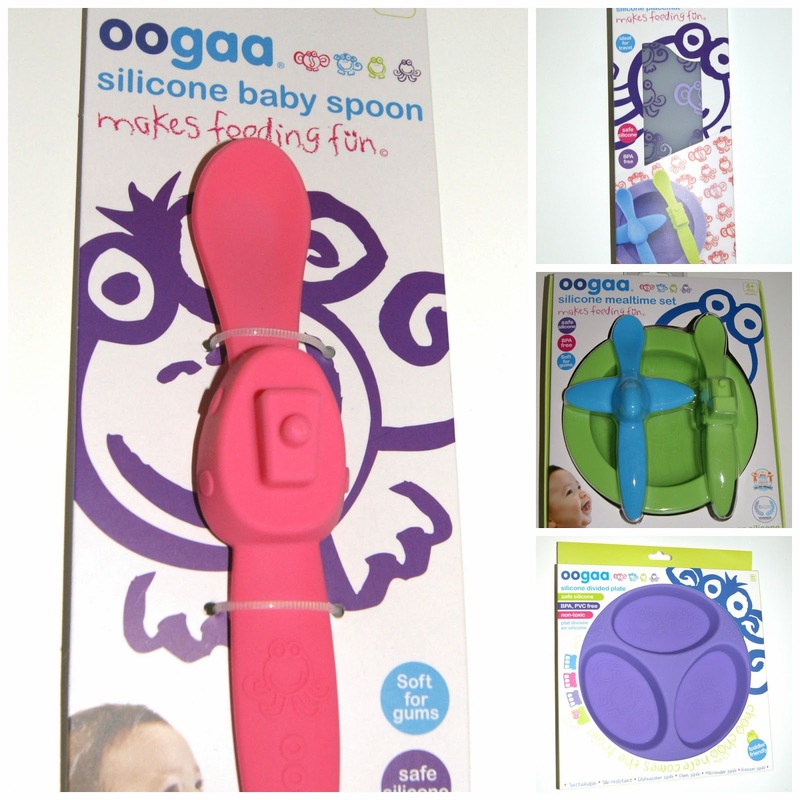 When I received OOGAA's products, the first thing I liked about them were the bright colors of the plates and spoons. In addition, we (Mia and I) no longer have to imagine the spoon as an airplane, since OOGAA spoons come in fun-shapes like trains, boats and airplanes. This makes mealtime very exciting. The bowls and the place mats have some super cute animals. They also come in different colors like purple, green, pink and blue. I like the fact that the products are made out of silicone, instead of plastic, like many products in the market.These products are made from non-toxic silicone. They're BPA and harsh chemical-free, dishwasher safe, easy to clean, microwave safe, oven safe and freezer safe. The spoons are flexible and soft for the teeth and gums, easy to grab, making it ideal for when Mia is learning how to feed herself. Ooga is an innovative product that creates healthy and sustainable products for babies and young kids. It is the perfect for those parents who are trying to avoid using plastic dinnerware and yet still finds impractical to use the porcelain dinnerware with the kids. Silicone is durable and does not leach harmful chemicals. In addition to that, silicone is a sustainable material, which means we would help protect the environment. I have always been a fan of silicone, but after doing some research about it and trying these products I am more in love with this material than ever. Today we have a review of Polish to share with you all! We received the American Starts hand-made headband and we are loving it. Polish sells the cutest headbands which she designs herself. The headbands are creatively designed and well crafted. We are sure you are going to want one for your daughter. What we like about Polish's headbands is that they are soft and comfortable, and therefore protects the baby's head when they have it on for a couple of hours. 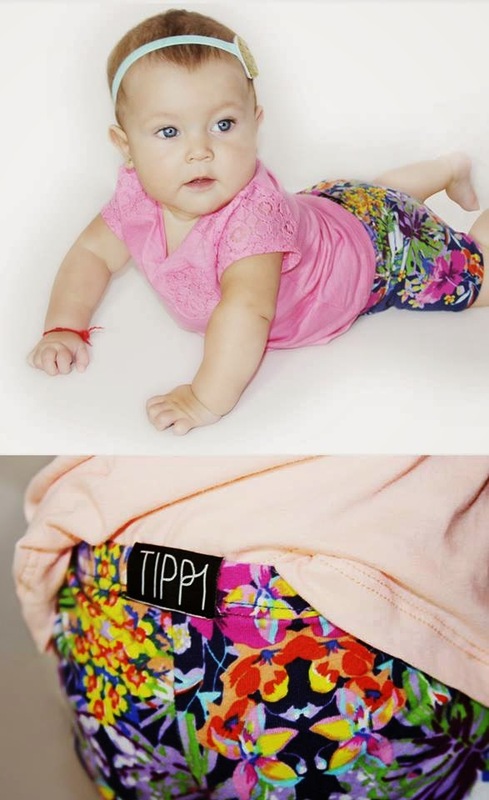 The thick design is perfect because it doesn't leave a mark on the babies. What are you waiting for mommies? check out Polish on Etsy. 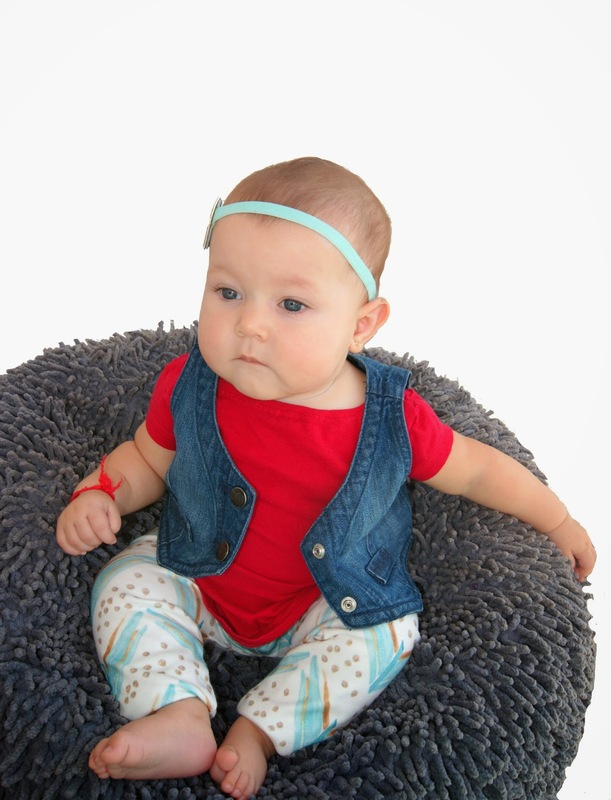 The headbands and other accessories she offer are definitely the perfect addition to your kiddos' collection. Oh! for those who enjoy celebrating the 4th of July, take advantage of the 25% discount she is offering in the American Stars Headband, perfect for that day. 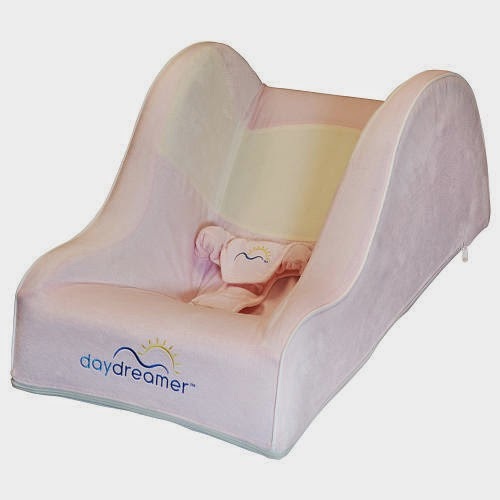 We recently received the newest product -DayDreamer Sleeper- designed for napping time. This awesome chair is 28-degree incline that allows napping in a relaxed and natural posture. It also includes a flat base to provide stability for floor positioning and a one-hand release harness. 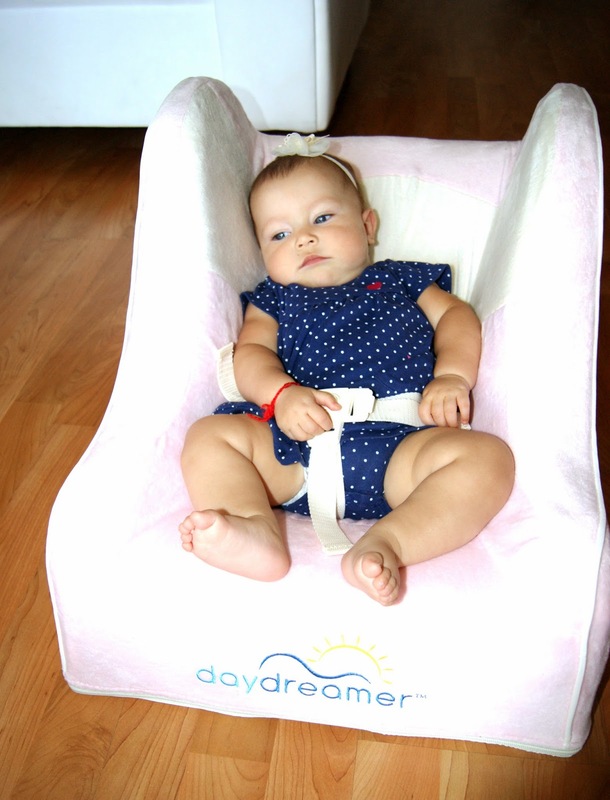 The DayDreamer's fabrics are designed to prevent babies from overheating and the cover can be easily unzipped to wash. It is very light weighted, so it allows to be transported to any room in the house, and once the baby is in it you don't have to worry about anything any more. As you can see Mia is fan of this product. She loves taking her naps there. But to be honest, she's not only the one who's happy with the DayDreamer. We love that this product has being designed with comfort and safety in mind. Nana doesn't need to worry when Mia is in it becase the DayDreamer was meticulously designed to comply all federal laws and standards outlined by the U.S. Consumer Products Safety Council. It comes in blue, pink or green and it's available at Babies "R" Us retailers or online for 129.99. Now if you have a baby and want to try this handy product, today is your lucky day, because one reader is going to win one! just enter using the punch tab below and it could be yours. Remember to follow us on Facebook, Twitter or Instagram in order to participate. 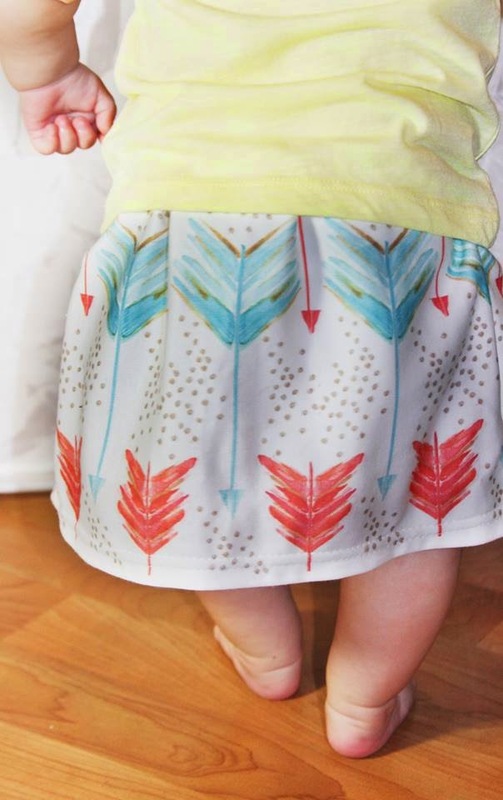 We received the Teal Chevron Arrows Leggings and the Coral Teal Arrow Skirt from Little Faces to review and we just want to say they are Amazing! We love that Little Faces are 100% handmade, that the materials are high quality (Organic Cotton), that the customer service is top notch (we didn't expect to receive the products as quickly as we did. ), and that the owner -Jenn- is personable and Knowledgeable. The cotton is incredibly soft. the material is thicker and warmer, but at the same time light weighted and perfect for the summer season. It definitely holds its shape better than the lycra. The designs of both the leggings and skirt we've received are hip and modern. However if there is a design that you might have in mind and Little Faces doesn't have it, you can shoot her a message and she will try to make it for you. Another thing that we loved about these products is that there are many ways they can be worn. 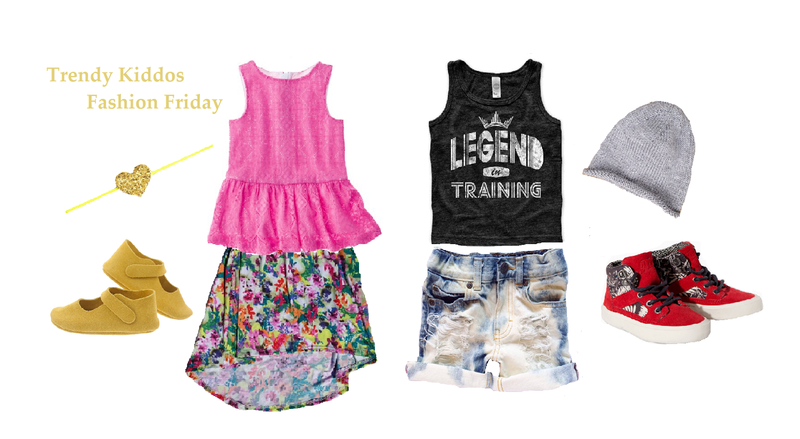 You can dress your kiddo with the leggings or the skirt and some girly frills and bows or keep it casual with a t-shirt. 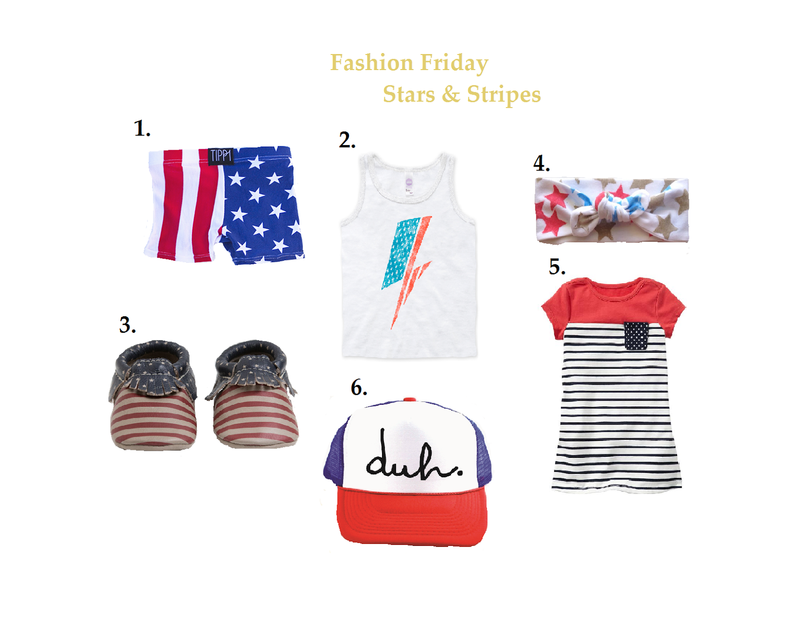 Either way, we can assure you these products going to stand out and make your kid look gorgeous. 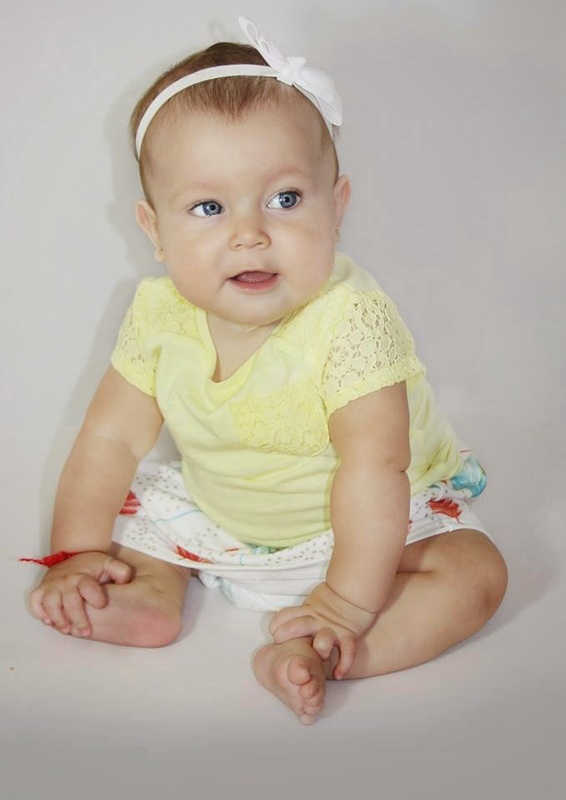 We recently received some gorgeous items from Electrik Kidz to review. Electrik Kidz is an innovative brand of clothing and accessories for children between 0-3 years which offers to the new generation of parents a more urban alternative. Electrik Kidz is fresh, full with vibrant colors, different and is definitely here to stay. What differs Electrik Kidz from other brands is their cool baby bandanas, perfect for kids who are into pacifiers and love throwing them away. All of their bandanas come with a detachable pacifier clip connected to the bib. So, if your baby is tired of it, you don't need to worry any more that it is going to be thrown to the floor and get dirty. Very practical huh? The bandanas are very comfy and Mia didn't try to take it away. 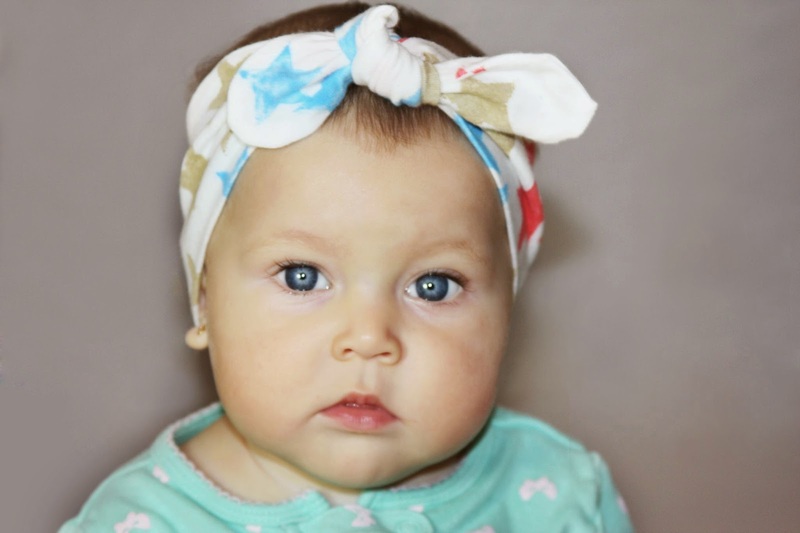 The fabric they use to make the bandana was soft and light.To all those safety-conscious parents, we can let you know that all of the Electrik Kidz products are approved by the US Consumer Safety Commission. We also received the Mexican Tank and the sleep sack. We loved the softness of the material and the vibrant of its colors. Just like the bandana, the Mexican tank came with the pacifier clip perfect for when the kids are playing. We are giving a thumbs up to this company! and we invite you all to see more of this cool shop and join their Twitter or Facebook. Stay tuned! 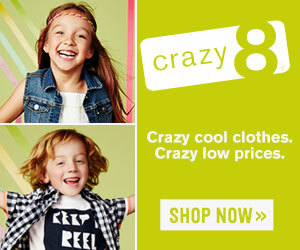 because at some point this week we are going to start an amazing giveaway with awesome brands, including Electrik Kidz.